Last year the SEO industry saw major shifts, and with increasing competition and complexity, it’s safe to say SEO will be harder than it was last year. But we also believe that SEO is going to be a year of many opportunities. Change is good, and necessary since consumer trends change year after year. These changes also offer opportunities to newer websites to break the top of the search engine result page (and forces those on top to adapt to their audience accordingly). In this article, we’re going to discuss what we learned from Google’s last major update to their algorithm last year, and predict where things might be going when it comes to SEO trends, so you can stay one step ahead of your competitors and dominate the SERPS. Let’s begin with Google’s “Medic” Update and what we learned from it. Last year was packed with algorithm updates and Rankbrain’s entrance to the SEO game. One of those most discussed updates was Google’s “Medic” update. Google’s Guidelines were recently modified to stress the importance of EAT. What is EAT? It’s evident that websites in these industries have an undeniable impact in people’s well-being, so Google considered that it’s important only the right kind of information gets ranked at the very top. We’ve been very repetitive when it comes to Google’s fundamental rule, which is to offer its users the best experience possible, because it’s key to figuring out what SEO this year will be. In this case, Google understands that the user’s best experience is directly linked to access to information from sources they consider authorities in their respective niches. More specifically, expert opinions. It means that one of the SEO trends this year will be, to position your website as a recognized authority in your industry or niche. And you can’t do that unless you let Google know who you are. We discussed in an article last year how Google was building an individual “authority index” for authors, based on many off-site factors, such as social media profiles and interactions, which came as a huge surprise to many (since technically speaking, social media is outside of the search engine’s, namely Google’s, immediate realm). While there are many off-site indicators that Google hasn’t openly admitted to using (yet), there are some on-site indicators that are going to be key for SEO. An extensive “About” page about who you are, or at the very least, who your company is. A contact page with working emails and preferably a direct contact form. You’ll want all your content to include references and external links. These are all powerful indicators that your website isn’t some shady bot-fest, and that you carefully curate your content with your users’ interest in mind. If you wish to create a fake persona ahead of a specific website, for marketing purposes, that’s your choice, however: You can also just present yourself as a company with its own set of goals and interests. Either way it’s important that it’s understood who you are and what you stand for. Another big SEO trick will be to purchase positive social media signals for your social media profiles. When it comes to building authority, numbers and engagement signals are huge. Once you got some following going on, we recommend you share your content on social media regularly, and curate your follower list. Thanks to studies and data recollected over the past few years, we got a fairly good idea of what some of the most important ranking factors are when it comes to SEO. There are literally hundreds of known ranking factors, but for now we’ll look at the holy trinity that is unlikely to change this year. Onpage Optimization is still one of the top-ranking factors. Unsurprisingly, this will continue to be the case, since it’s a factor that’s logically built into how the algorithm classifies information and tells its users what a website is all about. All industries have some sort of featured snippet that they can leverage for rankings. We made a guide not long ago about how you can find what they are, and rank for them. One of the most notable tactics last year was using tables to sort relevant information. Others used Schemas and/or cleverly mixed h2,h3 tags to classify information that targets specific terms (or short questions) that are commonly searched in Google. We believe these methods will continue to work. SEO will have to take into consideration that Google is progressively taking a bigger share of traffic from the SERP. This means that many users will simply take a look at the featured snippet for a term and then go on about their lives. The key this year will be how to create a snippet that also invites users to learn more about the subject on your website. Make sure the title of your content contains your keywords and invites your prospects to visit your website. Organize your content using the headlines tags appropriately, putting an emphasis on possible featured snippets you can snipe from your competitors. Use your bold and list tags as well! Use your keyword in your URL, and keep them as short as possible. It’s more important than ever to use rich media in the form of images, videos, embeds, you name it. A healthy density is always recommended, but the increasingly TF*IDF formula might overtake it. We’ll be thoroughly discussing the TF*IDF formula and how to optimize around it in a future article. Be sure to check it out! Latent Semantic Indexing keywords are fundamental for understanding what your content is about and stablishing topical relevance. Always include them in your content. Should go without saying, that you need to work on providing high-quality, useful content to your audience at all times. Investing in solid copywriting is a good option, so don’t shy away from it! Now that we’ve covered our laundry list of items for proper content optimization, it’s time we discuss Rankbrain and User Signals for SEO. Rankbrain is, quite simply said, Google’s deep learning AI dedicated to the company’s search engine, and one of the biggest responsible for many of the tweaks and algorithm updates that have been pushed since its introduction. SEO, (or Google more specifically) will continue to rely on Rankbrain to sort out ranks, so it’s important we understand what we (so far) know about it, and how we can optimize for it. Click Through Rate is, in a nutshell, the percentage of people that look at your listing in the SERPs and click it. Dwell Time (also known as Session time) is how long someone spends, on average, browsing through your content. RankBrain compares different pages Click Through Rates and Dwell Times to determine which website provides the best user experience. Optimizing for click through rate comes with its own nuances, and for the sake of brevity, I recommend you check out our Landing Page Optimization guide. You’ll want a catchy title, and an even catchier header to reel in your prospects and get them to read the rest of your content. As for Dwell Time, (or what you might know as Session times in Web Analytics), you’ll need high quality content that keeps your prospects engaged. Many of the optimizations we recommended in the earlier section are precisely meant to improve user experience and session time. It’s said that RankBrain also plays a large role towards stablishing semantic relevance, but from what we can gather, its most important contribution to the SERPs is analyzing these two factors and organizing results according to who gets the most clicks and actively retains users. Backlinks are going to remain one of the top 3 ranking factors in SEO for the foreseeable future, it’s no surprise SEO will also take them into consideration. Google Algorithm (when it comes to links) works as a democracy where some votes (links) are worth more than others. In this pondered democracy, links with a higher authority weight more than links with low Domain Authority. Similarly, links with high topical relevance are worth more than links from websites completely unrelated to your content. Having a link-building strategy for this year is going to be fundamental towards success, and the age-old question about whether you should go Whitehat or Blackhat for link building will remain equally relevant. We’re going to quickly review how both stand at the end of last year, and what we can expect this year. Private Blog Network links are still going to be fundamental for SEO. But it’s important that you buy PBN backlinks from experts in the SEO industry. SEO is going to heavily revolve around authority, as we mentioned earlier. Which is why it’s highly recommended you purchase premium PBN packages that feature links from domains with Majestic Trust Flow sitting around 25-30. You’ll also want to ensure your PBN backlinks are relevant to your website’s content and industry in which you operate. Last year we saw Google tweak their algorithm in favor of links that feature high topical relevance, and it’s likely a trend that will continue in SEO. Beware of Public Blog Networks: Just like last year, purchasing backlinks from public blog networks is a terrible investment. The moment websites that compose a PBN are openly revealed for the sake of marketing, their worth and usefulness greatly devalues, and potentially exposes your website to penalties. It’s recommended you purchase your PBN links from long-standing, highly reviewed professionals and avoid potentially toxic links. Whitehat SEO will continue to have a place in link building strategies. 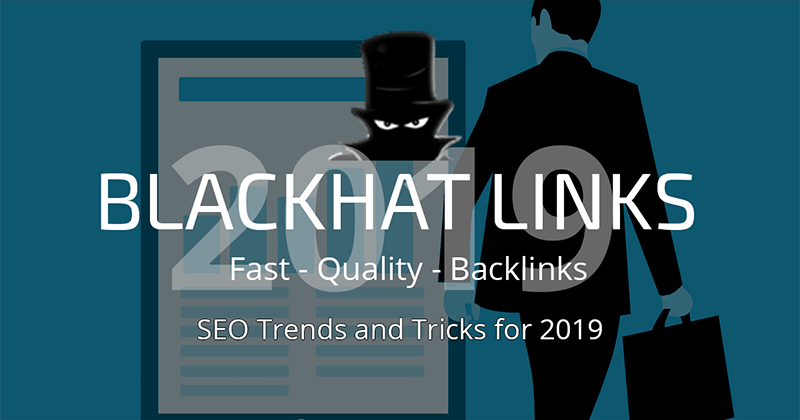 While considerably more expensive than Blackhat SEO, it’s recommended you invest some time or resources into traditional Whitehat SEO, even if your goal is to cloak some of your Blackhat activity. The Skyscraper technique is going to be one of the most prominent SEO trends. The idea is to find content related to your niche that is widely shared on the internet, and improve it. It could be by expanding certain aspects of said content with solid research, or by transforming articles into infographics. Even an improvement in the way the information is presented using formatting tools counts! This type of content, helps you position yourself as an authority in your niche (especially if it goes viral), but the resources that are usually spent in these endeavors can be massive, and are sometimes disappointing, due to a subpar content marketing strategy. So, make sure you cover all your bases before committing time and money into Whitehat SEO! Most online marketers tend to mix Whitehat SEO and Blackhat SEO into their marketing efforts, and it’s safe to say this won’t change when it comes to SEO. SEO is looking like a year full of opportunities: an increasingly larger number of people are flocking to the industry and are all looking to stablish themselves as authorities in their respective niche. My advice to you: while it is important to follow these guidelines and leverage all the tools that are within your reach, it’s increasingly important that you understand your audience, and market to them efficiently. The cornerstone of any SEO campaign should be to connect and communicate with your target, and create content that resonates with them. Think outside the box, and don’t be afraid to try something new. Sometimes that’s all it takes to stand out from the sea of information and websites that saturate the online world today. Thank you for reading once again, we wish you the best success!